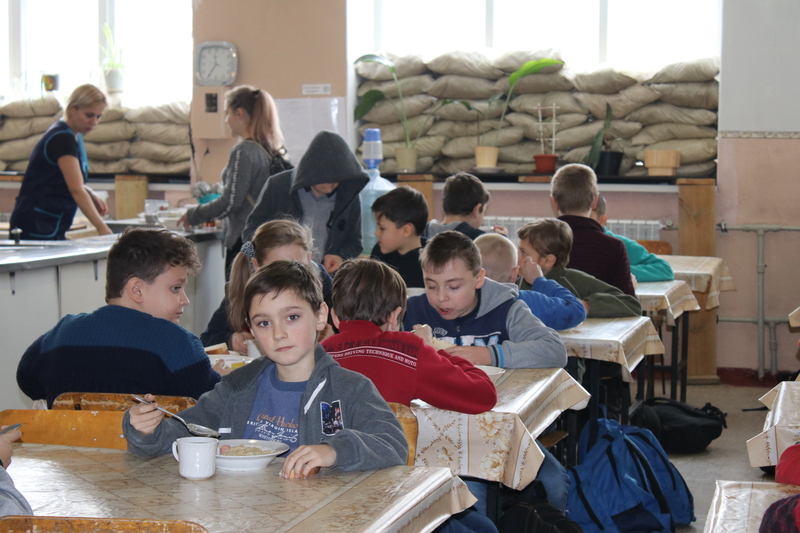 The staff prepare food for students Maryinka School №2 and also for secondary school №1. So the kitchen staff should work in comfortable conditions. 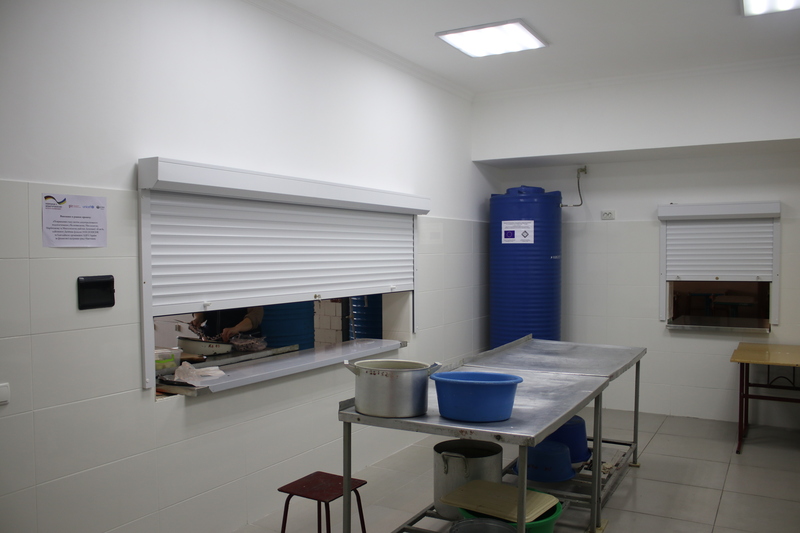 Therefore, under the project of water supply drainage, plumbing, electrical wiring were changed, and new floors, walls and ceilings were installed. 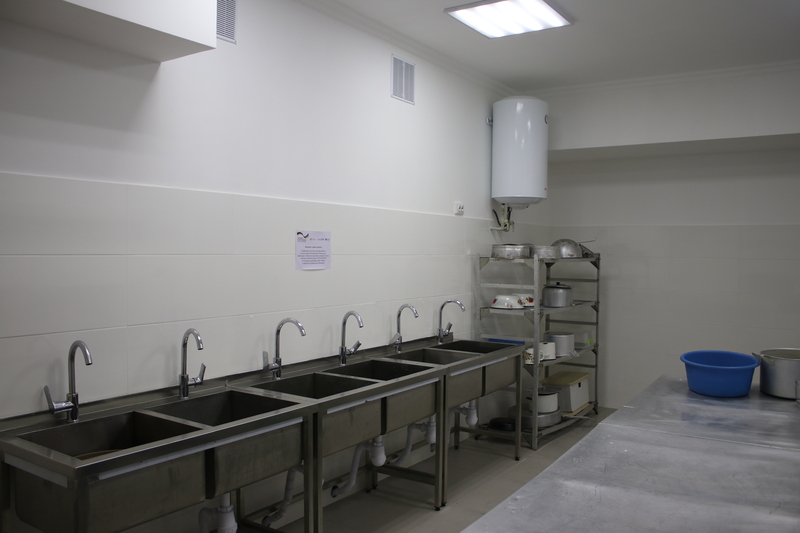 In addition, new stainless steel sinks and tables were installed. 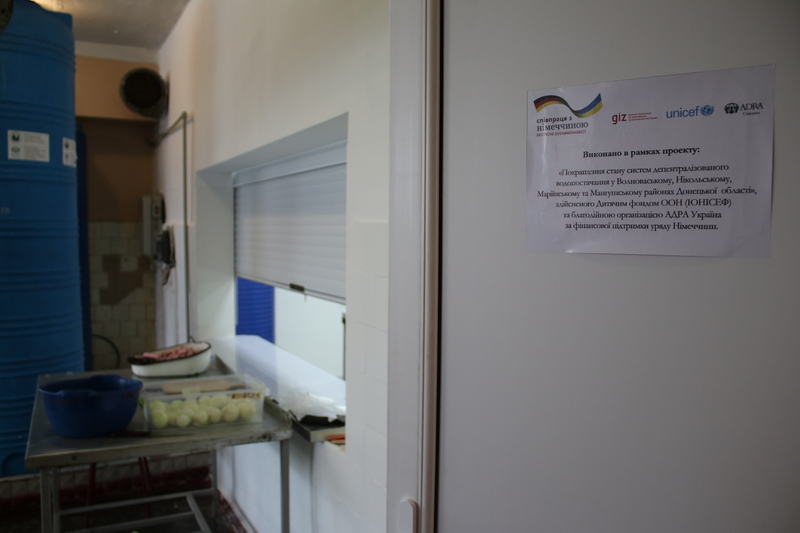 Therefore, the staff of the school dinner is happy to prepare food and drink for students in the renovated kitchen. The repairing continues in 4 lavatories – on the first and second floor. The repair is carried out under the project “Improvement of WASH conditions in decentralized water supply system in Volnovakha rayon, Nikolske rayon, Maryinka rayon and Mangush rayon in Donetsk region”, implemented by the UN Children’s Fund (UNICEF) in association with ADRA Ukraine with the financial support of the German government.